At ROSE we want to encourage diversity in the tech community, so where better to start than at school? It’s a great place to inspire and get children involved in tech at an early age. 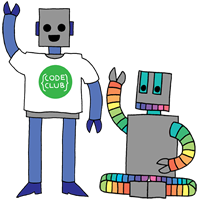 We decided to get involved with Code Club after Zac’s brother Nick, who helps run a West Midlands club, recommended it to us. They supply the learning materials, generally all you have to do is turn up and help the students through it. It’s actually really easy to sign up as a volunteer and there were lots of local schools who were excited. We got talking to Wimborne Junior School in Southsea. Last time I was in a primary school was 14 years ago so it was pretty weird for me. The first thing that jumped out was just how low down everything was. We sat with David , a teacher at the school, and chatted about the current IT curriculum. The students are taught basic programming including Scratch. This is great, I wish I had the chance to do this. Code Club fits in great as an extra after school club for them, they were surprised that it’s all free. We’ll be starting in September and can’t wait. 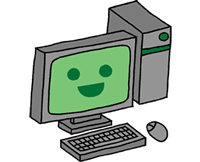 "Code Club" by ROSE Digital is licensed under a Creative Commons Attribution-ShareAlike 4.0 International License.